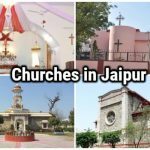 Jaipur is known to be one of the most popular destinations with tourists. Jaipur is known for shopping, culture, heritage and monuments. Not only it offers many places to visit in day but nightlife in Jaipur is equally captivating. 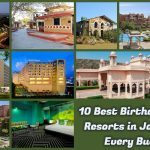 If you are in search of places to visit in Jaipur for fun at night, here is a complete guide which helps you have the list of top places to visit in Jaipur, Rajasthan, especially at night. 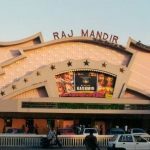 These Jaipur points of interests are hotspots for couples to make their evenings more romantic. 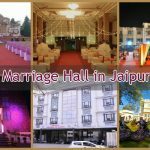 Have a quick look at Jaipur nightlife consisting of places to visit Jaipur in one day and make your evenings memorable in every sense. 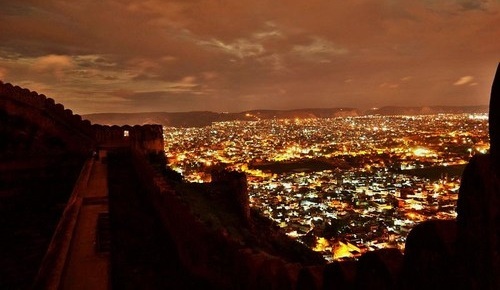 If you think that by visiting Nahargarh Fort in the day time, you have had a wonderful view of the city then you are mistaken because view of Jaipur city at night from Nahargarh is to die for. The beautifully illuminated Pink City under millions of stars looks mesmerizing. 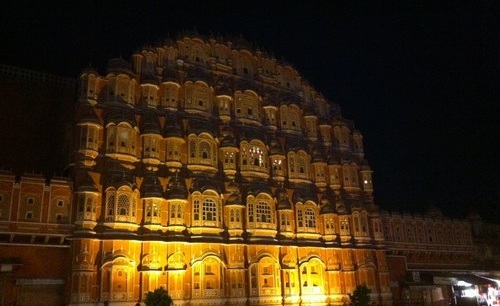 This is surely the best thing to experience in Jaipur at night as nothing looks more beautiful than the city!!! 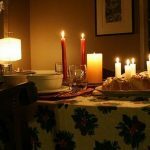 You can even enjoy a fine dining experience at the fort. If you wish to experience the rich culture and heritage of Jaipur at night then Amber Fort is probably the best place to explore. You can simply enjoy the picturesque view of the fort from a distance or you can enjoy a lavish dinner inside the fort at the royal restaurant. 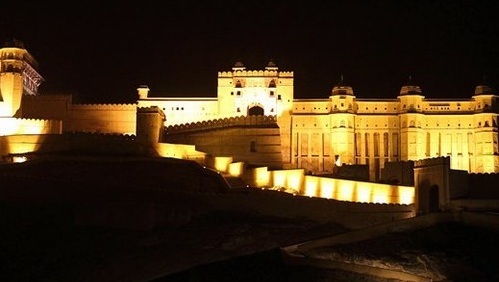 A light and sound show every evening at Kesar Kyari, Amber Fort is something worth an experience. While returning from Nahargarh and Amber Fort, you can stop at Jal Mahal which is very much on your way back to the city. It is a water palace standing tall in the middle of Man Sagar Lake. 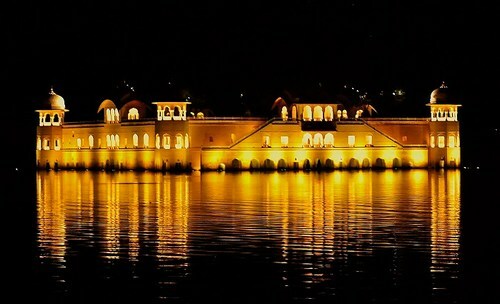 The reflection of lights at night adds on to the beauty of this palace which is another important place to enjoy at night. It looks like a gemstone under the sky floating on the water. You can sit there for a while and enjoy the soothing breeze. This gorgeous Palace of Winds is an amazing work of art. This monument is known for its architectural structure is truly a delight in the evening hours when it gets illuminated. All 953 windows look so captivating and work as an attractive background for memorable clicks in Pink City. And the best part is that it falls on your way back to city from Jal Mahal. M.I.Road is known to be the lifeline of Jaipur city. Drive through this wonderful road at night when the traffic is less and you can appreciate the beauty of the city. While crossing this road, you will come across Panch Batti which is another popular location in the city and kind of forms the centre of the city. 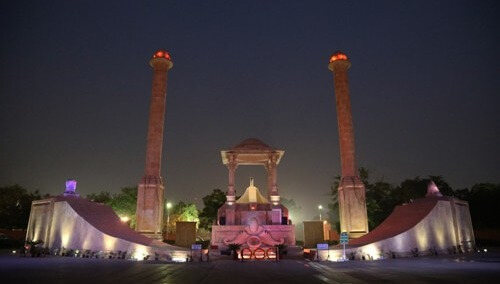 Statue Circle is surely the most well known landmark of Jaipur City. A statue of Sawai Jai Singh II, the founder of Jaipur stands tall on this circle surrounded with a beautiful garden. Lots of people across the city visit here in morning and evening for a relaxed time. 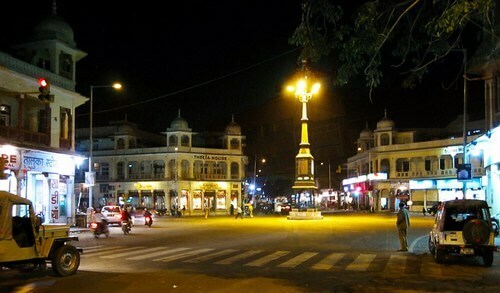 You can even enjoy ice cream or coffee at night at Statue Circle. 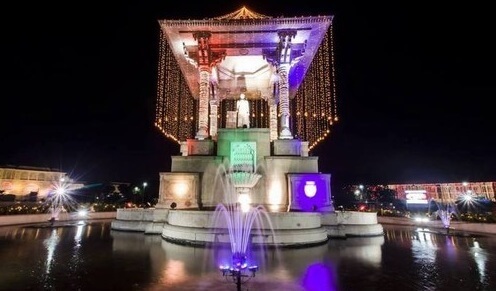 Amar Jawan Jyoti is a popular patriotic site in the city which glorifies the sacrifices made by brave soldiers of the state of Rajasthan. Spend few minutes at this place located at Janpat which salutes all those brave army men who sacrificed their lives for the nation. 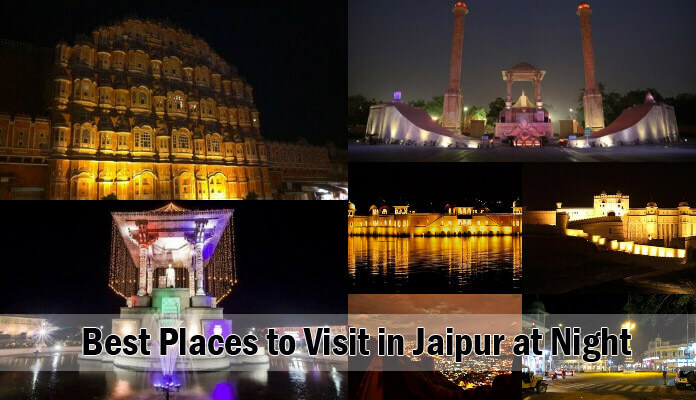 These are the seven very popular places to visit in Jaipur to enjoy the night life. 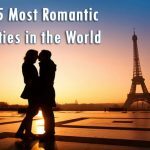 You can easily cover all of these places in one evening and make it a memorable evening for life.